 Request a review before you meet up with someone off Bunz and make sure your review request is accepted. For more information on the review process go here. Choose a public location where everyone will feel safe. You can also meetup in front of one of our Shop Local merchants. Look at past reviews and the number of posts someone has made to make sure you are comfortable meeting up. Clear communication for when you're leaving and again when you're nearby go a long way. Alternatively make it known in advance if you have to reschedule or if you're going to be late. This is courteous and much preferred to ghosting or a last minute cancellation.